Recent polls show a three-way split in support between the Progressive Conservatives, New Democratic and Wildrose Parties have generated some interest in Alberta’s provincial election campaign but with 24 days left until voting day we can expect a lot to change. Here is a quick review of what the politicians were saying and political parties were spinning in the first week of this election campaign. 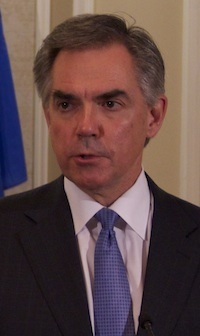 PC leader Jim Prentice launched his party’s election campaign in Edmonton. Campaigning on issues related to the March 2015 provincial budget, Progressive Conservative leader Jim Prentice spent most of his week travelling around rural Alberta in his party’s campaign bus. 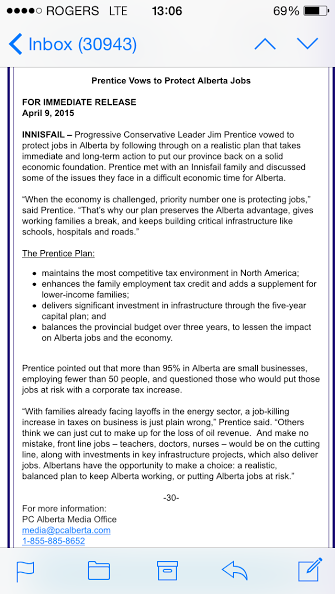 Mr. Prentice targeted his opponents as extremists while moderating his own tone around Alberta’s economy. 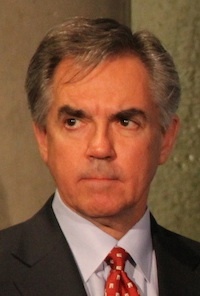 Before the election was called, Mr. Prentice’s repeated doom-and-gloom messages led opposition critics to name him “Grim Jim.” The PCs are attempting to present Mr. Prentice as the balanced (a.k.a. safe) candidate, as opposed to the extremist (a.k.a. dangerous) leaders of the opposition. The PCs promised to double the $17.4 billion Heritage Fund as part of a ‘ten year plan’ and Mr. Prentice repeated his pre-election statement that he would remove the provincial government’s dependence on natural resources revenues. 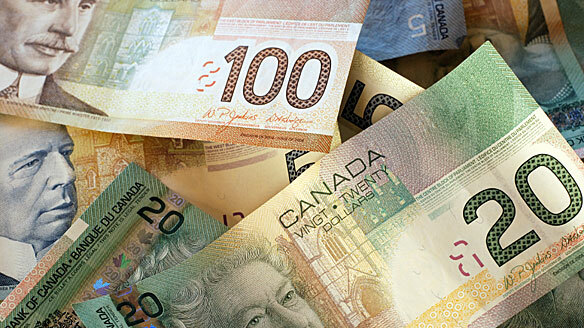 The recent provincial budget included almost sixty tax and fee increases, including increases to personal taxes but no increases to corporate taxes, which appears to have been a political miscalculation on the part of the PCs. The government’s own budget survey results showed 69% of Albertans support a corporate tax increase, a point the NDP has stressed. 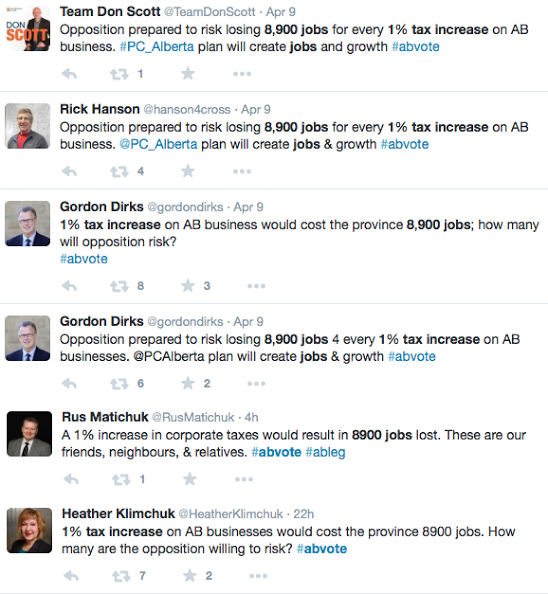 PC MLAs and candidates took to social media to post different variations of a message that 8,900 jobs would be lost if corporate taxes were increased by 1%. It is unclear what study the 8,900 jobs number originates from. Creating more confusion around corporate tax increases, a PC press release from April 9 stated ‘Prentice pointed out that more than 95% in Alberta are small businesses, employing fewer than 50 people, and questioned those who would put those jobs at risk with a corporate tax increase.” This is a good talking point, if not for the issue that small businesses do not pay corporate tax rates. According to the Department of Finance website, small businesses earning $500,000 of less profit each year pay a separate 3% small business tax, not the 10% corporate tax applied to companies earning more than $500,000 in profit annually. The PCs dropped the corporate tax rate in Alberta from 15% in 2001 to the current 10% in 2006. 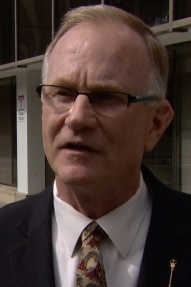 Edmonton Police are investigating bribery allegations made during the Edmonton-Ellerslie PC nomination contest and disqualified Edmonton-Decore PC nomination candidate Don Martin is suing the PC Party for $124,000 over bribery allegations. Dismissed nomination candidate Jamie Lall declared that he is running as an Independent candidate against PC MLA Bruce McAllister in Chestermere-Rockyview. 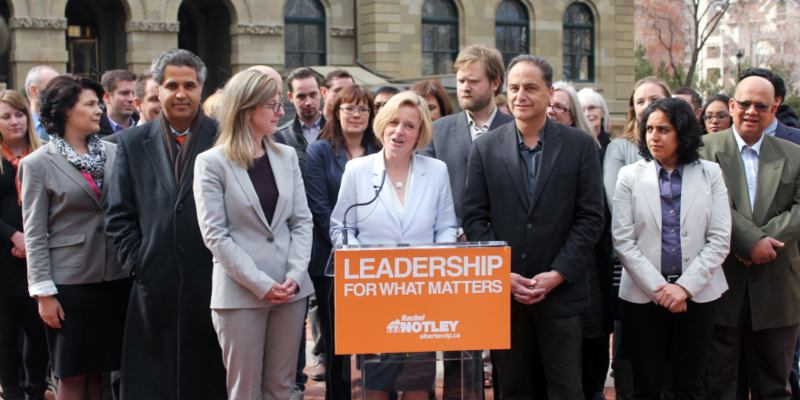 NDP leader Rachel Notley with Calgary candidates on April 8, 2015. NDP messaging in the first week of the campaign focused on the economy. Ms. Notley announced the creation of a Job Creation Tax Credit for businesses as the first NDP election promise, providing balance from their calls for corporate tax increases. The credit sounds reasonable, but much like the PC Party’s 8,900 job loss argument, I am skeptical about this credit creating 27,000 new jobs. The NDP also announced that in-province refining and upgrading is also a top priority. Before the election was called, Ms. Notley’s unveiled her party’s plans to create a Resource Owners’ Rights Commission. The NDP responded to Mr. Prentice’s “extremist” claims with an “extremist of the week” press release quoting former Premier Peter Lougheed’s support of increased corporate taxes and former Deputy Premier (and current PC candidate) Thomas Lukaszuk support for in-province refining and upgrading. Ms. Notley was also a guest on this week’s #abvote Google Hangout. Focusing on rural Alberta, Wildrose leader Brian Jean campaigned in southern Alberta and his Fort McMurray constituency this week. While the campaign trail in Strathmore-Brooks, Mr. Jean and candidate Derek Fildebrandt cleverly walked around town with a giant arrow in hand pointing out services and commodities, like alcohol and gas, which became more expensive due to tax increases in the recent provincial budget. Mr. Jean released his party’s “Five Priorities” that include positions on taxes, health care, education, democracy and rural Alberta. Part of the Wildrose plan to balance the budget by 2017 without raising taxes includes cutting 3,200 management jobs, including 1,600 in Alberta Health Services and 1,600 in the Government public service. The Wildrose announced they would sell the Kananaskis Golf Course, a publicly owned and privately-operated golf course that the provincial government had paid millions of dollars to repair after it was damaged by floods in 2013. Mr. Jean backtracked on comments made about Mr. Prentice undermining Prime Minister Stephen Harper. 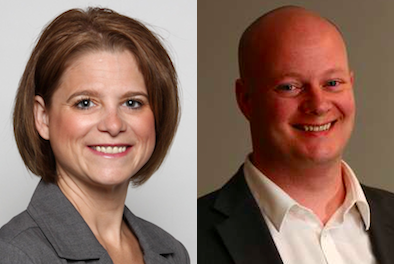 The Wildrose Party also nominated new candidates this week including City Councillor Buck Buchanan in Red Deer-North, past mayoral candidate Shelley Biermanski in St. Albert, Don Koziak in Edmonton-Glenora and Ian Crawford in Edmonton-Riverview. Liberal MLA Laurie Blakeman, interim leader David Swann and Edmonton Liberal candidates unveil the party’s pay equity proposal. Edmonton Journal columnist Graham Thomson wrote that the Liberal Party might need “a ballot box miracle” in order to save themselves from political oblivion. Alberta Party Leader Greg Clark released his party’s policy platform and Economic Recovery Plan. 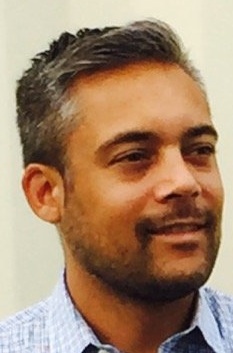 Most of the party’s focus is on electing Mr. Clark in Calgary-Elbow, where he placed a strong second to PC MLA Gordon Dirks in a 2014 by-election. Mr. Clark’s campaign is using DirksRecord.ca to target Mr. Dirks’ record. The party also grabbed media attention for scooping up the domain names choosealbertasfuture.ca and .com after the PC campaign slogan was unveiled earlier this week. The Green Party published a media release criticizing the PC Government’s record on environmental regulation, describing it as a “fake, not authentic, regulation and thus an insult to the intelligence, dignity and trusting nature of Albertans.” The release takes issue with the South Saskatchewan Regional Plan and calls on the government to create a regulator that understands the impact of proposed activity and puts rules in place to prevent any unacceptable impacts. The Council of Alberta University Students (CAUS) launched a campaign to increase voter turnout among university students in this election. “We are going to sign up thousands of students and make sure they turn out on Election Day,” CAUS chairperson Navneet Khinda said in a press release. The Parkland Institute released a new report looking at political values of Albertans. Public Interest Alberta released its “Priorities for Change” report as a resource for political candidates in this election And Change Alberta has returned to rank the progressive candidates most likely to win in constituencies across Alberta. This entry was posted in Alberta Politics and tagged Alberta Heritage Savings Trust Fund, Brian Jean, Bruce McAllister, Bud Buchanan, Calgary-Elbow, Calgary-Fort, Calgary-Mountain View, Calgary-Varsity, Chesteremere-Rockyview, David Swann, Derek Fildebrandt, Don Koziak, Don Martin, Edmonton-Decore, Edmonton-Ellerslie, Extremist of the Week, Gordon Dirks, Graham Thomson, Green Party, Greg Clark, Ian Crawford, Jamie Lall, Jim Prentice, Joe Ceci, Lethbridge-West, Peter Lougheed, Rachel Notley, Romeo Dallaire, Shannon Phillips, Shelley Biermanski, South Saskatchewan Regional Plan, St. Albert, Stephanie McLean, Thomas Lukaszuk on April 11, 2015 by Dave Cournoyer. 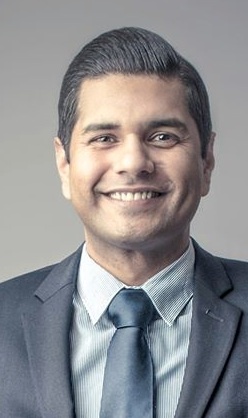 Progressive Conservative activist Jamie Lall was unexpectedly disqualified for unknown reasons before his party’s April 1 nomination meeting in Chestermere-Rockyview, allowing Wildrose PC MLA Bruce McAllister to be acclaimed. After months of campaigning, Mr. Lall lashed out at his party and questioned why he was disqualified when an incumbent MLA who plead guilt to prostitution related charges was allowed to be nominated. Mr. Lall is also the President of the PC association in the neighbouring Calgary-McCall, a position he has not been disqualified from. “It’s like we’ve become House of Cards,” is how one PC Party member described this year’s round of PC nominations, which have been riddled with controversy. Bribery allegations led to the resignation of cabinet minister Naresh Bhardwaj as the candidate in Edmonton-Ellerslie and candidate disqualifications in Edmonton-Meadowlark and Edmonton-Decore, as well as disorganization in Bonnyville-Cold Lake have grabbed media attention. 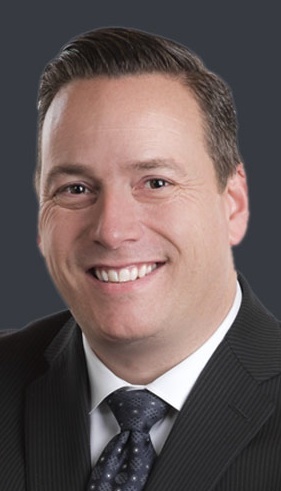 According to the PC Party website, Jonathan Dai has been appointed as the party’s candidate in Edmonton-Highlands-Norwood in advance of the April 11 scheduled nomination meeting. Mr. Dai is the President of the Canada-China Council for Cooperation and Development and was the Liberal candidate in the 2000 federal election in Edmonton-Strathcona, where he placed 5,647 votes behind Canadian Alliance MP Rahim Jaffer. While attempting a rematch with Mr. Jaffer in 2004, he narrowly lost the Liberal nomination in Edmonton-Strathcona to Liberal MLA Debby Carlson. 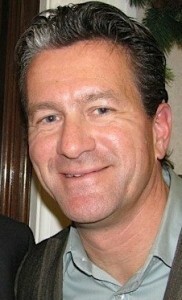 Highlands-Norwood is currently represented by NDP MLA Brian Mason. The PCs are expected to appoint a candidate in Edmonton-Centre after it was unable to nominate a candidate before the March 28 nomination meeting. The PCs last elected an MLA in Edmonton-Centre in 1982. 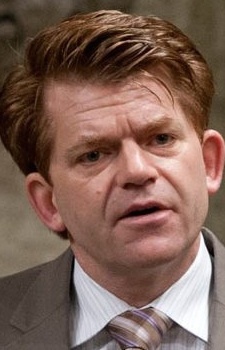 New Wildrose Party leader Brian Jean announced that he will run in Fort McMurray-Conklin, which was part of the federal constituency he represented in Ottawa from 2004 to 2014. Mr. Jean will face incumbent PC MLA Don Scott, the Minister of Advanced Education, and NDP candidate Ariana Mancini, a grade 1 teacher and Alberta Teachers’ Association activist. Mr. Scott narrowly defeated Wildrose candidate and former Wood Buffalo mayor Doug Faulkner by 470 votes in the 2012 election. 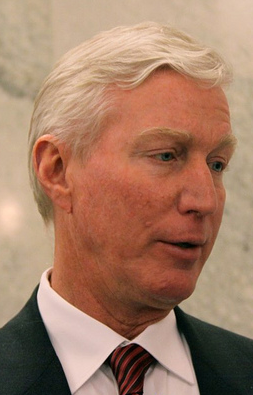 One of Mr. Jean’s first acts as leader was to dismiss Calgary-South East candidate Bill Jarvis, whose comments about “brown people” embarrassed the party on the night of its leadership announcement. The Wildrose Party has now nominated at least 47 candidates, including recent nominees Angela Pitt in Airdire, Blaine Maller in Calgary Fish Creek, and Tany Yao in Fort McMurray-Wood Buffalo. 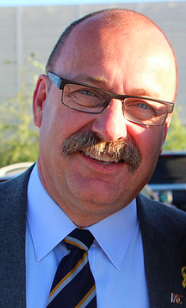 Former leader and MLA Paul Hinman withdrew from the nomination contest in Cardston-Taber-Warner, leaving three candidates still in the race – Larry Bates, Jon Hood and Grant Hunter. The New Democratic Party has now nominated at least 75 candidates in constituencies across Alberta. 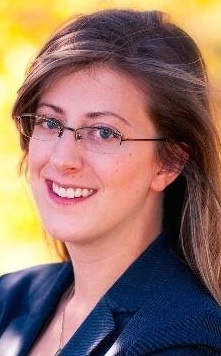 The latest nominated candidates include Christina Gray in Edmonton-Mill Woods, Jon Carson in Edmonton-Meadowlark, Emily Shannon in Drumheller-Stettler, Patricia Norman in Innisfail-Sylvan Lake, , Karen McPherson in Calgary-Northern Hills, William Pelech in Chestermere-Rockyview, and Lynn MacWilliam in Strathmore-Brooks. The Alberta Party has nominated 29 candidates, including recent nominees Jim Black in Medicine Hat and Rory Tarant in Grande Prairie-Wapiti. The Liberal Party has nominated 24 candidates across the province. The latest nominated candidates include Ron Williams in Battle River-Wainwright, Todd Ross in Edmonton-Castle Downs, Bradley Whalen in Edmonton-Decore, Kevin McLean in Grande Prairie-Smoky and Helen McMenamin in Little Bow. Mr. McLean is a city councillor in Grande Prairie. It appears that celebrity political strategist Warren Kinsella is headlining a $159.00 per ticket fundraiser for Edmonton-Meadowlark Liberal Dan Bildhauer and Edmonton-Manning Liberal Adam Mounzer on April 11 at the Courtyard Edmonton West hotel. The Green Party has nominated fifteen candidates and has recently nominated Josh Drozda in Leduc-Beaumont, Peter Meic in Calgary-Cross, Coral Bliss Taylor in Chestermere-Rockyview, and Sandra Wolf Lange in Edmonton-Riverview. Following the lead of Edmonton Liberal MLA Laurie Blakeman, Red Deer-North Liberal candidate Michael Dawe has also accepted the Green Party nomination in his constituency. The Communist Party of Alberta plans to field two candidates in the upcoming election. Leader Naomi Rankin will represent her party in Edmonton-Mill Woods and Bonnie Devine will run in Calgary-East. Ms. Rankin has been leader of the Communist Party since 1992 and, according to her Wikipedia biography, has run in every provincial and federal election in Alberta since 1982. This entry was posted in Alberta Politics and tagged 2015 Alberta Election, Brian Jean, Brian Mason, Bruce McAllister, Candidate nominations, Chestermere-Rockyview, Debby Carlson, Edmonton-Highlands-Norwood, Edmonton-Strathcona, Jamie Lall, Jonathan Dai, Rahim Jaffer, Warren Kinsella on April 2, 2015 by Dave Cournoyer. The Great Betrayal – what happened to the Wildrose Party? 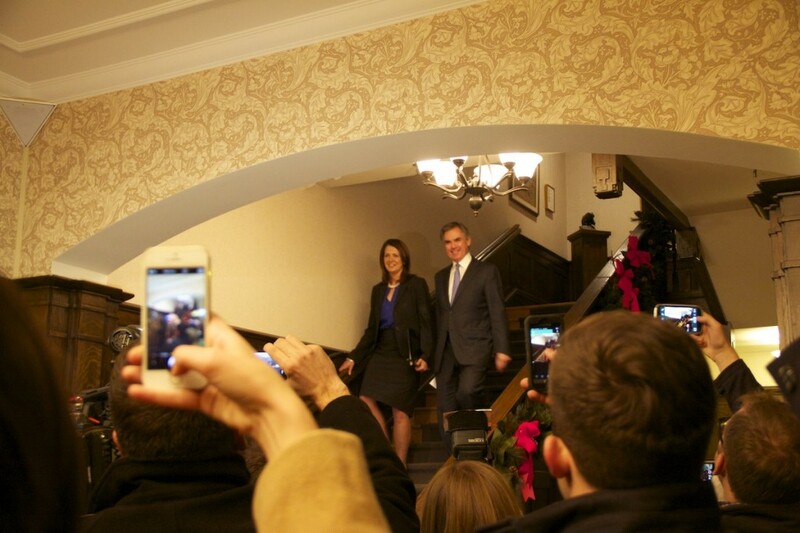 Danielle Smith and Jim Prentice make a grande entrance at yesterday’s press conference at Government House. Anyone already cynical about politics in Alberta will have their views reinforced with yesterday’s announcement that Wildrose leader Danielle Smith and eight of her party’s MLAs have abandoned their role as the Official Opposition and joined the 43-year governing Progressive Conservatives. After a five hour meeting of the PC Caucus at Government House, Premier Jim Prentice and Ms. Smith walked side-by-side down the staircase to announce news that nine Wildrose MLAs had been accepted into the government caucus. It was a shrewd move that could be a decisive win for Mr. Prentice in the Conservative Civil War that the two parties have waged against each other since the mid-2000s. But what led to this mass exodus of Wildrose MLAs? 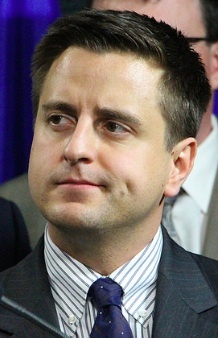 Since the disappearance of the Social Credit Party in the 1970s, Alberta has seen its share of conservative fringe parties, usually based in central or southern rural Alberta – including the Western Canadian Concept, the Representative Party, a short-lived SocCred revival in the mid-1990s and the Alberta First Party. The Alberta Alliance, which later became the Wildrose Alliance Party, transformed itself into something different. While the Wildrose Party was founded on a social conservative base, the purpose of the party was to pull the meandering centrist Tories back to their conservative political roots. Over the past four years the Wildrose has excelled at using wedge issues like oil and gas royalties and property rights to drive the political agenda in Alberta. 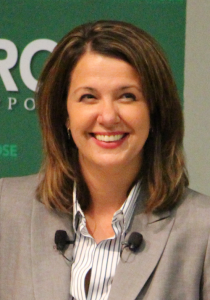 Premier Ed Stelmach‘s meddling with natural resource royalties led the oil industry to quickly begin funnelling donations to the Wildrose, then led by a photogenic former school trustee named Danielle Smith. When the PCs abandoned plans to raise royalties, the Wildrose honed in on property rights and stirred up a considerable amount of fear and resentment among rural landowners, who were mostly traditional PC voters. 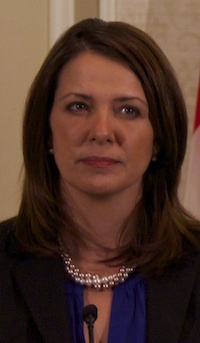 The nutty social conservatives proved to be the Wildrose’s greatest weakness in the 2012 election, costing the party a chance at forming government. But the many blunders of Alison Redford’s embarrassing government gave the Wildrose a renewed lease on life. And now, with Mr. Prentice as leader of the PC Party, it has become difficult to point out significant policy differences between the two parties. By refusing to meddle in the marketplace, halting the poorly written Bill 10 and pledging to protect property rights, Mr. Prentice has robbed the Wildrose of their most effective critiques of the PC Party. The Wildrose Party still exists with a significant campaign war chest and a membership role of 23,000. But it now lacks a leader, which the party executive says it will soon begin a search for. The steps taken by the party over the coming weeks could determine whether it can actually recover or whether it will join the list of conservative fringe parties after the next election. Despite Ms. Smith’s agreement with new premier, the departure of the nine MLAs is a betrayal of the party’s hundreds of volunteers and donors and the more than 440,000 Albertans who voted Wildrose in the last election. Life as an opposition MLA in Alberta is not glamorous, but as the Official Opposition, those nine MLAs played a critically important role in our parliamentary democracy. The timing and nature of the floor crossing reeks of political opportunism. And the quality of our democratic system will be weaker tomorrow with the loss of these nine opposition MLAs into the government backbenches. The five remaining Wildrose MLAs will technically form the Official Opposition, but with their party in disarray, many political observers are watching to see if another political leader -NDP leader Rachel Notley – is able to form an effective opposition to the 43-year governing PC Party. This entry was posted in Alberta Politics and tagged "Nutty Social Conservatives", Alberta First Party, Blake Pedersen, Bruce McAllister, Bruce Rowe, Conservative Civil War, Crossing the floor, Danielle Smith, Ed Stelmach, Gary Bikman, Jason Hale, Jeff Wilson, Jim Prentice, Rachel Notley, Representative Party, Rob Anderson, Rod Fox, Social Credit Party, Western Canadian Concept, Wildrose Alliance Party, Wildrose-PC Party Merger on December 18, 2014 by Dave Cournoyer. 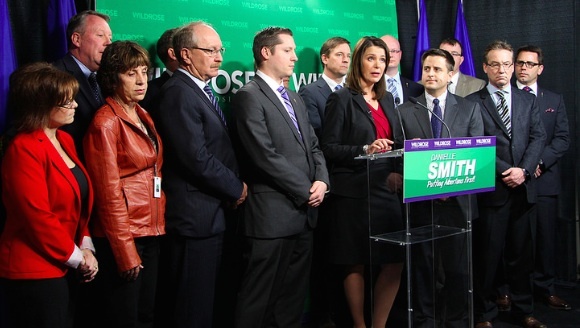 Wildrose leader Danielle Smith surrounded by her caucus on March 19, 2014. In a move designed to quash any further internal party dissent, Wildrose MLAs rallied around their leader yesterday by unanimously requesting their party’s executive committee cancel a leadership review that Danielle Smith requested last week. The sign of caucus unity came shortly after Sundre-Rocky Mountain House-Rimbey MLA Joe Anglin announced he was leaving the Official Opposition Caucus to sit as an Independent MLA. Ms. Smith requested the review in response to the Wildrose Party’s poor showing in four by-elections held on October 27. Although the by-elections were held in traditionally safe Progressive Conservative voting constituencies, they were seen by many political watchers as a mid-term review for the 43-year governing PC Party, now led by Jim Prentice. Will the sign of caucus support for Ms. Smith’s leadership put an end to the Wildrose “civil war” between pragmatic and ideological conservatives that Mr. Anglin referred to in a Facebook post yesterday? From the outside, it is difficult to tell whether an actual “civil war” is being waged. Mr. Anglin has always been more comfortable as a political lone-wolf and his departure was not unexpected. And despite the party’s sometimes uneasy coalition of libertarian and social conservatives, it is reasonable to believe Ms. Smith would still receive a strong endorsement from party members in a leadership review (she received 90% approval in a 2013 review). But the entrance of Mr. Prentice onto the political stage may have slightly shifted the ground in Alberta’s conservative movement. As the by-election results suggest, there are many conservative voters comfortable with a PC Party led by Mr. Prentice and, at the very least, they willing to give him a chance. Mr. Prentice does pose a serious challenge for the Wildrose Party, which made former Premier Alison Redford into political lightening rod. And while the sting of Ms. Redford’s legacy did not resonate in the by-elections, the recent announcement of an R.C.M.P investigation into her alleged misdeeds may reignite Albertans anger. It is difficult to imagine who would replace the Wildrose Party’s high-profile leader. Although MLAs Kerry Towle, Bruce McAllister, Shayne Saskiw, Heather Forsyth and Rob Anderson have some provincial profile, none are as recognizable as their current leader. 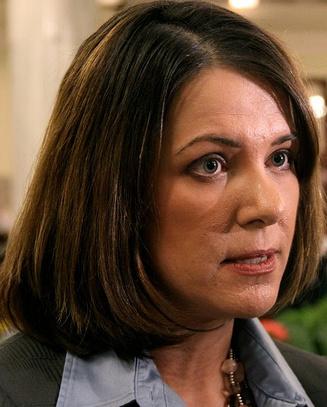 I would guess that most Albertans would struggle to name a Wildrose MLA other than Ms. Smith. Whether a “civil war” is actually underway, it is clear that the Ms. Smith’s Wildrose Party is facing an identity crisis in a post-Redford political environment. Meanwhile, NDP leader Rachel Notley and Liberal leader Raj Sherman have ruled out any talk of a merger by Alberta’s centre/centre-left political parties. Talk of a potential merger arose following significant vote-splitting in the Oct. 27 by-elections. This entry was posted in Alberta Politics and tagged Alberta by-elections, Alison Redford, Bruce McAllister, Heather Forsyth, Joe Anglin, Kerry Towle, Leadership Review, Rachel Notley, Raj Sherman, Redford RCMP Investigation, Rob Anderson, Shayne Saskiw, Sundre-Rocky Mountain House-Rimbey, Wildrose Civil War on November 3, 2014 by Dave Cournoyer. Tories versus Wildrose: Year One in Alberta’s new political game. 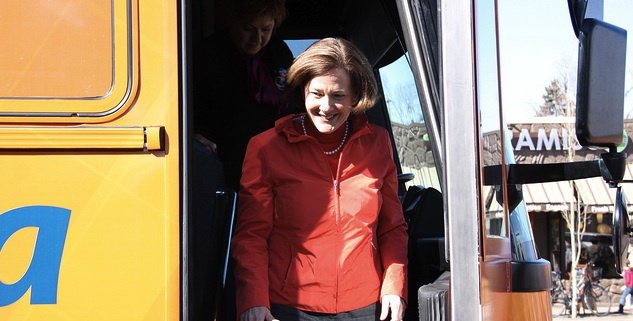 Premier Alison Redford hops of her campaign bus onto Edmonton’s 124 Street during the 2012 election. On April 23, 2012, Alberta’s most hotly contested election in decades culminated with the re-election of the twelfth consecutive Progressive Conservative majority government since 1971. Despite holding the large majority elected MLAs, the popular vote showed Albertans were closely divided between Alison Redford‘s Tories who finished with 44% compared to an impressive 34% showing for Danielle Smith’s Wildrose Party. The first year of Premier Redford’s mandate has been rough for her governing party. Scandals bubbling up from now-defunct health authorities, accusations of a personal conflict-of-interest, and allegations that her party accepted up to $400,000 in illegal campaign donations from billionaire Edmonton Oilers owner Daryl Katz have dogged her government. Despite being branded as a policy-wonk, Premier Redford’s cabinet has implemented a confused domestic agenda that has resulted in public spats with popular Mayor Naheed Nenshi and Stephen Mandel and unnecessary conflicts with teachers and doctors. Recent budget cuts, blamed on a deflating bitumen bubble, also threaten to unravel the coalition of moderate voters who carried her party to victory one year ago. 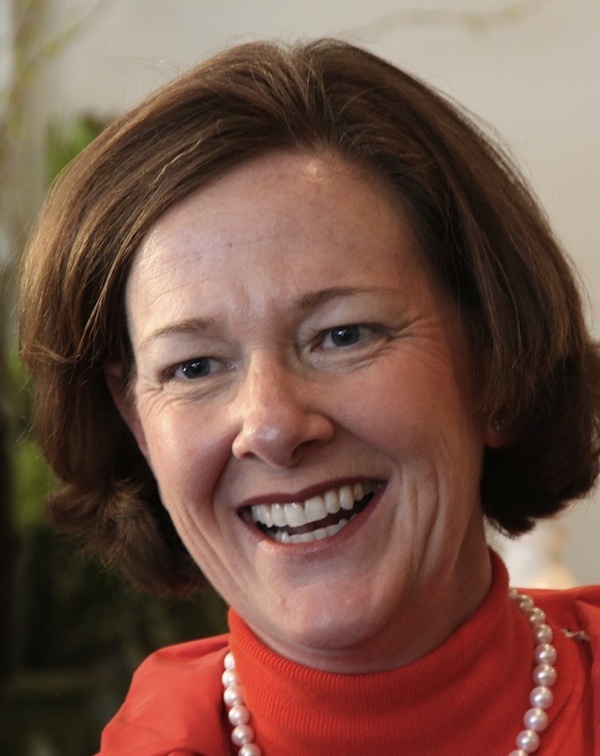 The mixed bag that is Premier Redford’s cabinet could help explain some of this confusion. Younger cabinet ministers, like Deputy Premier Thomas Lukaszuk, Education Minister Jeff Johnson and Municipal Affairs Minister Doug Griffiths, constantly talk off the cuff and appear to sometimes be making government policy on the fly. Other ministers, like Finance Minister Doug Horner, Health Minister Fred Horne and Human Services Minister Dave Hancock, have shown restraint and maturity that comes with years of cabinet experience. Premier Redford has been exceedingly strong on the national and international stage as she has travelled extensively over the past year lobbying for a Canadian Energy Strategy, the Keystone XL Pipeline, and to open new markets for Alberta’s oil sands. She appears to be less interested or willing to play the political game, which will become increasingly difficult in the face of an aggressive official opposition. 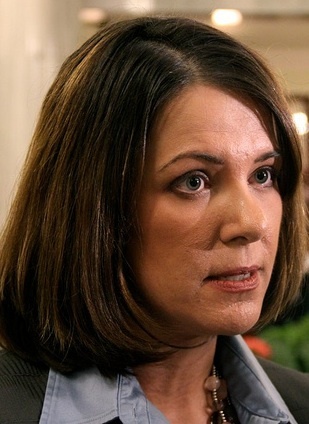 Wildrose leader Danielle Smith could have been celebrating her first year as Premier had it not been for late election bozo-erruptions that exposed an offensive social conservative element in her party. Comments about caucasian advantages and a Lake of Fire drove many moderate conservatives, liberals, and even some New Democrats, to vote PC in last year’s election. Despite the disappointment of not defeating Alberta’s long-governing PC dynasty, Ms. Smith has grown into her role as Leader of the Official Opposition. Borrowing aggressive tactics from the federal Conservatives in Ottawa, who are organizationally tied at the hip with the Wildrose, Ms. Smith’s party is leading the most aggressive and partisan official opposition in recent memory. Her party has groomed a front-bench that dominate the media and have, in many cases, driven the government agenda from across the aisle. Rarely a week goes by where Ms. Smith, Rob Anderson, Shayne Saskiw, Kerry Towle, Bruce McAllister, or Heather Forsyth have not grabbed a headline or a prime time news story. The Liberals, still led by former Tory MLA Raj Sherman, are still adjusting to their new role as the third-party in the Assembly after being bumped out of Official Opposition by the Wildrose. Accustomed to stealing the spotlight from the now-former Official Opposition Liberals, the four-MLA New Democrat caucus spent the past year figuring out how to play the same tricks on the Wildrose. Acclimatizing to the new political environment, Brian Mason’s NDP were overshadowed by Ms. Smith’s new team for most of last year. With some of the ‘progressive’ shine coming off Premier Redford’s Tories, the NDP are starting to find their footing again. The Tories have broken more than a few election promises in the first year of this mandate, including pledges to balance the budget and provide stable funding for health, education, and municipalities. Despite the rough first year, Premier Redford’s Tories still have at least three years left until the next election to fulfill the promises made and mend fences with the bloc of moderate voters who saved their party from defeat one year ago today. This entry was posted in Alberta Politics and tagged Alison Redford, Brian Mason, Bruce McAllister, Danielle Smith, Daryl Katz, Dave Hancock, Doug Griffiths, Doug Horner, Fred Horne, Heather Forsyth, Jeff Johnson, Kerry Towle, Naheed Nenshi, Raj Sherman, Rob Anderson, Shayne Saskiw, Stephen Mandel, Thomas Lukaszuk on April 23, 2013 by Dave Cournoyer. I have updated the list of declared and nominated candidates standing for the next Alberta provincial general election. By my count, the parties have now nominated the following number of candidates out of 87 constituencies in the next election: Alberta Party 11/87, Liberal 20/87, New Democratic Party 49/87, Progressive Conservative 39/87, Wildrose 53/87. 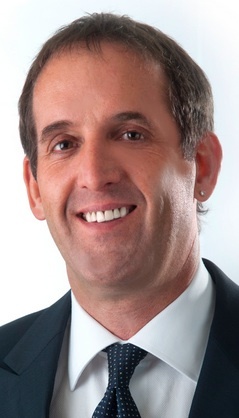 Chestermere-Rockyview – Global Television host Bruce McAllister is the new Wildrose candidate in this Calgary area constituency. Disappearing from the Wildrose candidate roster is Chestermere Town Councillor Heather Davies, who was nominated as the Wildrose candidate in May 2011. Drumheller-Stettler: Rick Strankman was nominated as the Wildrose candidate after defeating jeweller Doug Wade in a contested race. 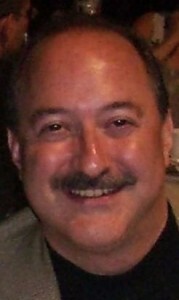 A third candidate, past-candidate Dave France called foul against his party after he was disqualified from the nomination at the last minute. Calgary-Hays: Former Libertarian Party of Canada leader Dennis Young also says he was unfairly disqualified from the Wildrose nomination in this sprawling south east Calgary constituency. Calgary-Currie: Calgary businessman Norval Horner, a cousin of Deputy Premier Doug Horner, was nominated as the Liberal Party candidate in this constituency, which elected Liberal-turned-Alberta Party MLA Dave Taylor in 2004 and 2008. 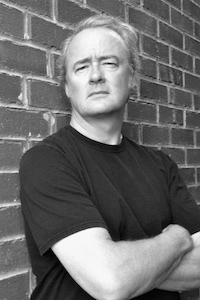 It is also expected that 2008 Progressive Conservative candidate Arthur Kent may run in this constituency as an Independent candidate. Calgary-Klein: The Liberal Party nomination scheduled for October 15 was postponed. Candidates seeking the nomination included Vincent St. Pierre and Matthew Moody. Mr. Moody unexpectedly withdrew from the contest at the last minute. 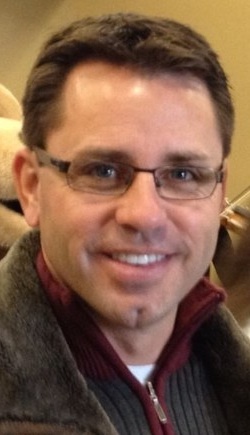 Grande Prairie-Wapiti: Ethane Jarvis is the nominated Wildrose candidate. 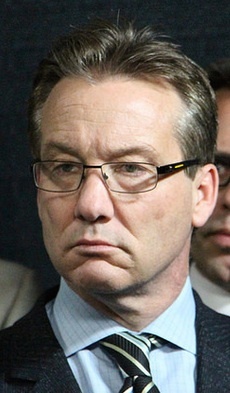 Edmonton-Glenora – Former MLA Bruce Miller was nominated as the Liberal Party candidate in this constituency. Liberal insiders say that local restauranteur and artist Sheri Somerville was heavily courted to run, but declined to seek the Liberal nomination. Reverend Miller was first elected in 2004 with 35% of the vote in a close three way contest between himself, high-profile NDP candidate Larry Booi, and PC MLA Drew Hutton, and he was defeated by now-Culture Minister Heather Klimchuk in 2008 by 104 votes. Edmonton-Strathcona: NDP MLA Rachel Notley was nominated as her party’s candidate at a meeting attended by Vancouver-Kingsway MP Don Davies. 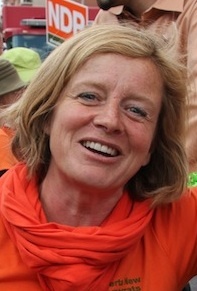 Ms. Notley was first elected as the MLA for this constituency in 2008, earning 49% of the vote. Red Deer-South: On October 25, the NDP are expected to nominate former five-term City Councillor Lorna Watkinson-Zimmer as their candidate. This entry was posted in Alberta Politics and tagged Arthur Kent, Bruce McAllister, Bruce Miller, Dave France, Dennis Young, Don Davies, Doug Horner, Doug Wade, Drew Hutton, Heather Davies, Heather Klimchuk, Larry Booi, Lorna Watkinson-Zimmer, Matthew Moody, Norval Horner, Rachel Notley, Rick Strankman, Sheri Somerville, Vincent St. Pierre on October 17, 2011 by Dave Cournoyer.